The common thread running through all of these wines can be summed up in one word: richness. These are some seriously hefty sparkling wines. In a good way, not in an excess baggage kind of way. The nice thing about wines with this much power is that their sparkling nature counterbalances that brawn. 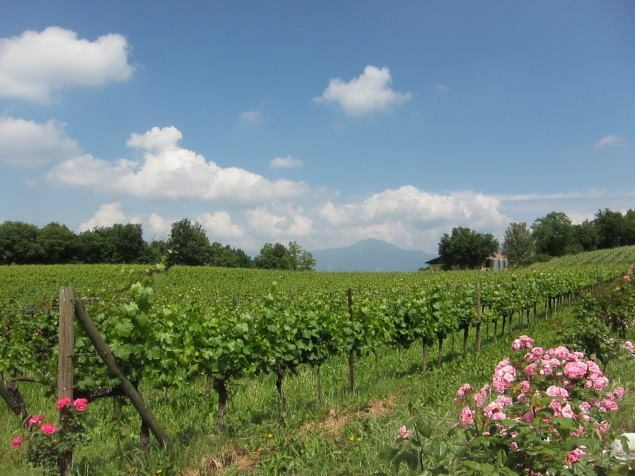 Franciacorta helps paint a complete picture of the rich sparkling wine scene in Northern Italy. It deserves a place at not just your New Year’s Eve celebration, but also at your Tuesday dinner table. Image courtesy Franciacorta USA Facebook page. Skurnik brings in a really delicious Franciacorta called Ronco Calino. I can’t find it out here but I’ve tasted it in New York. Very champagne like – leesy and rich and rad value. cheers and happy new year!! Yes, they are definitely leesy wines. Great for those who like powerful Champagnes, no doubt. Franciacorta wines are killer. The Bella Vista stuff is on par with some fine Champagnes but for a fraction of the cost. Happy to read these comments; I work with the Franciacorta Consorzio to help spread awareness of these fine bubbles. There will be lots of upcoming activities and events around the country this year to introduce people to the taste of Franciacorta. Happy 2015! congrats, you are now officially a blog-dinosaur. welcome to the club! Yes, I am a fossilized blogger!